Heroic vigilante to some, monstrous psychopath to others, former LAPD officer Christopher Dorner was killed on Tuesday February 12 by officers near Big Bear, thus bringing to an end the largest manhunt on US soil in years. Dorner, a former NAVY reservist, had been chased by authorities for a week after revealing intentions to kill a list of people affiliated with the LAPD. Technically, this entire ordeal began back in 2008 when Dorner was fired from the LAPD. 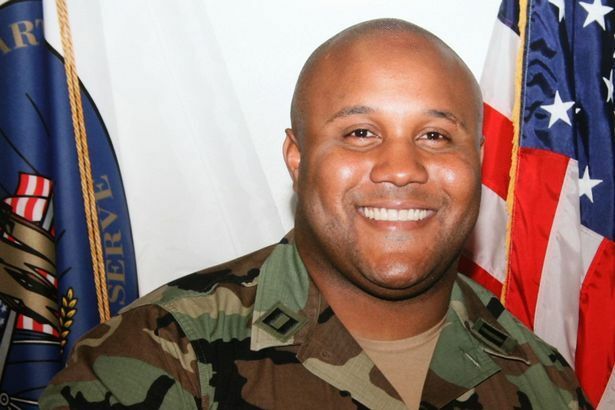 According to his lengthy and disturbing manifesto that he published on Facebook, Dorner believed his dismissal from the force was a conspiracy in response to his report of witnessing a fellow officer use excessive force while handcuffing a civilian, in addition to accusing other officers of racism. After being let go, Dorner pled his case to the Board of Rights, insisting that he had been treated unfairly. However, the BOR accused him of making a false claim, thus further solidifying his termination. The LAPD’s reputation has been anything but pristine over the years. From the events involving Rodney King to the Rampart scandal, Dorner’s disenchantment with the police force is not particularly shocking. Dorner’s manifesto went on to detail his plan to exact vengeance by killing a list of people affiliated with the LAPD, a “necessary evil” he must undertake in order to clear his name. The manifesto goes on to list the individual targets, along with their home addresses and details regarding their loved ones. The manifesto was discovered by authorities on February 6, three days after an engaged couple was found shot to death in their car in Irvine, California. The female victim was the daughter of a retired LAPD captain who represented Dorner in his disciplinary hearings. LAPD officers were then dispersed to protect the targets listed in the manifesto while others were sent to join the search for him. Officers discovered an 81-year-old man tied to a vessel in a San Diego marina, a vessel Dorner was believed to have attempted to hijack. Personal possessions of Dorner’s (including a uniform) were also discovered throughout the San Diego area. On February 7, LAPD officers opened fire on a truck matching the description of Dorner’s. The truck belonged to a mother and daughter delivering newspapers, who were injured in the process. To add insult to injury, other officers did the exact same thing later that day, but no one was harmed. Dorner’s truck was soon found burned out in the San Bernardino mountains, near Big Bear. After camping equipment and weapons were found in what was left of the truck, a helicopter “equipped with heat-seeking technology” (a drone by another name) was sent to search the mountains. As the search expanded into the mountains of Big Bear, the police officially charged Dorner with the murder of a police officer, and the attempted murder of three others. A one million dollar reward was announced for any information leading to Dorner’s arrest, and roughly 700 tips were received the next day alone. During this time, Dorner was hiding in plain sight at 1200 Club View Drive, a block of condos complete with television and internet that authorities never made a decision to search. In fact, many civilians expressed their frustration with the LAPD, claiming their searches were not thorough enough. On February 12, Dorner was spotted stealing a vehicle off Highway 38. After being located, he fled the vehicle and barricaded himself inside of a cabin. A shootout ensued between officers and Dorner, with Dorner engaging from inside the cabin. After two officers were injured (one of them later died), the media, reporting from nearby, were asked to leave. Reports about what happened next are therefore shady. Officers threw tear gas canisters and incendiary canisters that engulfed the cabin in flames. Some reports emerged that a single gunshot was heard from inside the cabin, insinuating that Dorner killed himself before he burned along with the cabin. The charred remains were officially identified as Dorner’s later this week, although the cause of death is believed to be the gunshot wound to the head. The news spread and the drama unfolded so quickly that it is rather daunting to fully make sense of it all. Over the course of a week, Christopher Dorner has gone from jaded ex-cop to becoming the first person to be hunted with a drone on American soil. There is no denying that Dorner was legitimately deranged, but based on the echoes of sympathy that have emerged since Dorner embarked on his mission of revenge, some are grateful to him for shedding light on the injustices inflicted on him by the LAPD. While it is comforting to know Dorner has been brought to justice for murdering four people and injuring many along the way, it is worth wondering just what will happen to the LAPD once all is said and done, as their actions are worthy of investigation at this point as well. Christopher Dorner felt betrayed by the system he had invested his work in, and felt it necessary to take actions into his own hands. The whole story is truly horrific, as it demonstrates the darkness of the human mind, and the ongoing corruption of the LAPD. The use of drones in the hunt to find Dorner is what is most daunting, as it provokes many questions regarding where our nation is headed in terms of surveillance and law enforcement.